Vincent Bevins é colaborador do jornal britânico 'Financial Times' e correspondente no Brasil do 'Los Angeles Times'. Escrito em inglês, blog aborda principais acontecimentos do Brasil sob o olhar de um estrangeiro. 2013 may be remembered as the year Brazil took to the streets. Or depending on what’s around the corner, it may be remembered as a mere precursor to what came next. But whatever 2014 has up its sleeve, in São Paulo a tendency to take to the streets en masse, invading public spaces and investing them with life and colour, runs deeper and wider than last June’s headline-grabbing protests. The push for a more humane city – more street life, more music and more space for human interaction – takes in creative types infiltrating music and art onto the streets of the centro, and campaigners for a new downtown park. It includes the bike shop renting private land to create a mini public square, and the working-class kids turning up in their hundreds at the mall, in Facebook-driven public actions known as ‘rolezinhos‘. And though less overtly politicized so far than the UK’s 1990s Reclaim the Streets movement, which evolved from staging euphoric anti-car parties in the streets to embrace anti-capitalism, the struggle to take possession of the city’s public spaces is becoming more interesting by the week. Lord knows, São Paulo’s unforgiving urban landscape needs the human touch more than most. In depressing contrast with the warmth and courtesy you encounter every day here from its inhabitants, across large swathes of the city, the bleakly over-developed built environment presents a blunt, blank face to the world, all walls, railings and asphalt. At the heart of South America’s largest metropolis, on the edge of the Tropic of Capricorn, sun and rain ricochet off concrete and more concrete, pedestrians take their lives in their hands crossing the street, and the obsession with ‘verticalization’ that began in the 1950s seems to never run out of steam, with new towerblocks rising endlessly, citywide (see Corruption – it’s the private sector). On the Rua Augusta, a long street that runs from Jardins over Avenida Paulista and down into Centro, the demolition of low-level buildings in favour of huge apartment blocks is still in full swing – as is a campaign to save one large, tree-lined plot of land from its fate as the proposed site of a pair of yet more tower blocks. Driven by an eclectic bunch of protest veterans, ‘occupy Centro’ activists and more conservative local residents, the movement to create a new public park, Parque Augusta, on the rare remaining scrap of green held a series of vigils outside the proposed park’s padlocked gates over Christmas and into the new year, including a Domingo no Parque SÓQÑ (‘Sunday in the Park [Not]’) event on 5 January), held in the street outside the locked gates under the slogan ‘The street is a park too!’. 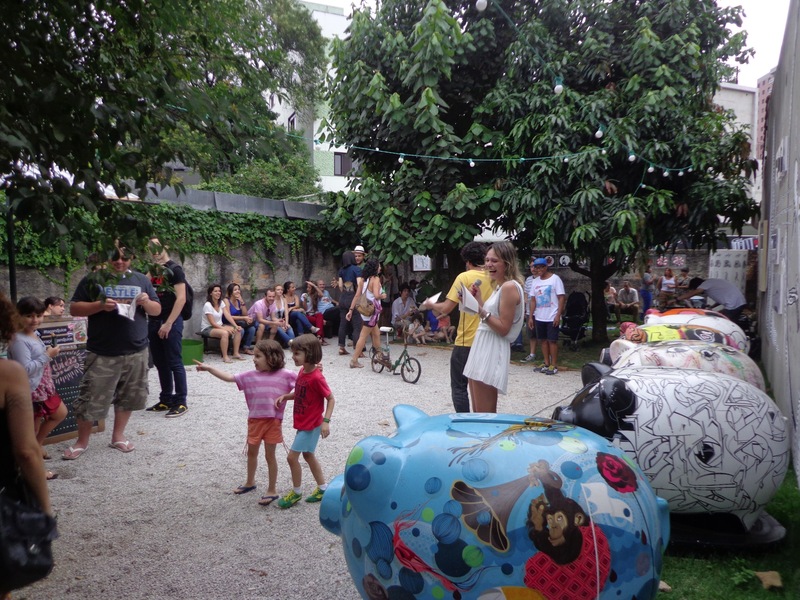 Meanwhile in Vila Madalena, where public spaces and greenery are also in short supply, at the bar/café/gallery/bike shop Tag and Juice, owners Billy Castilho and Pablo Gallardo have seized the chance to rent a vacant lot opposite their shop, to use it as a mini-park. The lot, open whenever Tag and Juice is open, has hosted art exhibitions, mini food fests and live music, providing shade from a tree and grass to sit down on, just round the corner from Beco do Batman, the epicentre of SP’s street art scene, where a long winding alley is plastered with work by some of the city’s finest urban artists. On the cool cutting edge of the movement to infiltrate more fun into SP’s streets are clubnights like the pioneering Voodoohop, created in 2009 by the German DJ Thomas Haferlach. Voodoohop has thrown colourful, unpretentious parties and happenings all over Centro, in the streets and in some of its most interesting spaces: at Trackers, a many-roomed, no-frills petri-dish for new clubnights; on the top floor of the residential Edifício Planalto, towering over Centro’s western margins; and on the Minhocão, a godforsaken flyover that snakes through São Paulo at 3rd-floor height. The highway is closed evenings and Sundays, when it becomes a de facto, no-frills High Line park frequented by strolling families, joggers and cyclists, snogging couples and, on the central reservation, the odd groups of friends sharing a discreet sundown spliff. Métanol, a clubnight collective headed by DJ Akin Deckard, has also graced the city with its fresh, feel-good Métanol na Rua parties, spilling into the roads in Vila Madalena and beyond, spinning its sunny Saturday afternoon vibes on into the night. And in a similar vein, Selvagem, voted 2013’s best party by the jury of Guia, Folha’s weekly listings supplement, held a series of indoor-outdoor Sunday afternoon events last year at Paribar, a bar/restaurant set at the edge of a tucked-away square in Centro. It’s no coincidence that so much interest should be focused on Centro. There’s a widespread sense of affection for the region, left to rack and ruin for many years but also blessed with some of the best architecture in the city. Far from the social and cultural wasteland imagined by some of SP’s elite, and despite its problems, which include a simmering crack epidemic, downtown SP is packed with heart and soul, and busy with street life – around the crowded 25 de Março shopping region, all over República and up the hill into Bixiga, where people sit out on their doorsteps and linger in botecos on hot summer nights. São Paulo’s real urban deserts, arguably, are in its affluent western neighbourhoods: in places like Itaim Bibi and Jardins, and in Brooklin and Berrini, where luxury apartment blocks loom coldly behind railings, and large houses shelter behind blank, impenetrable walls. You can walk for many blocks in parts of these neighbourhoods and never see a soul – just gates sliding open briefly to discharge powerful, glossy cars. In the city’s huge, poor periphery, in contrast, where a different kind of architectural chaos prevails, there’s no shortage of human warmth and interaction at street level. But in an equal and opposite reaction to the move to colonize the streets downtown, in the run-up to Christmas, a different kind of movement was born, taking the search for places to gather in a new direction: the rolezinho. Roughly translatable as ‘little excursions’ or outings, rolezinhos are offline meetups organized on Facebook. In December, a series of them brought flocks of teenagers together inside shopping malls around the city’s vast suburbs. 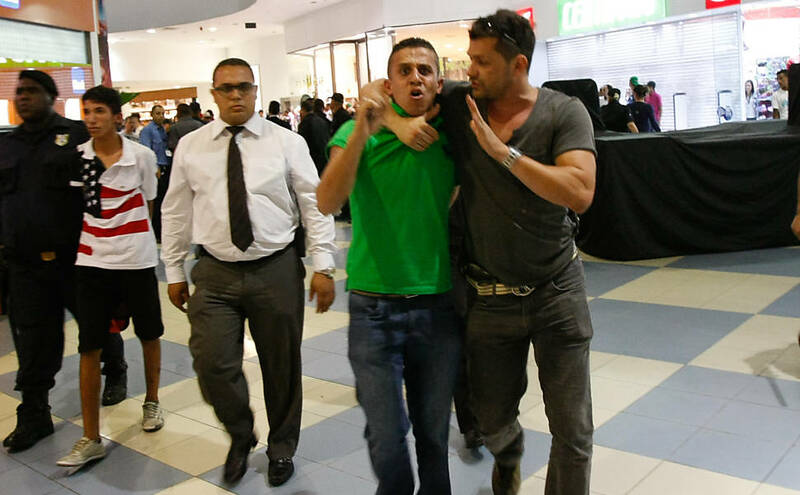 The appearance of fun-seeking crowds of working-class teens, many from neighbouring favelas, struck panic into shopping centre management, some of their customers, and into military police called to the various scenes, who appear to have criminalized the youngsters at a glance, making arrests at each of December’s rolezinhos despite no crimes having been reported. ‘If this had been a large crowd of white, middle-class kids, as has happened a number of times, would this have been called a flash mob?’ asked the anthropologist Alexandre Barbosa Pereira, who specializes in the culture of SP’s periphery, interviewed as part of a wide-ranging article by Eliane Brum at El País’s Portuguese-language site. Brum writes that a number of rolezinhos planned for January have been cancelled: ‘Their organizers, young people who work as office boys and assistants, are afraid to lose their jobs by getting arrested for being where they are not meant to be – an unwritten law, but one that’s always followed in Brazil.’ As if to prove it, no fewer than 23 people were detained for questioning after a rolezinho at Shopping Internacional de Guarulhos on 14 December – but with no actual crimes reported, all 23 were later released without charge. Rolezinho participants claim a variety of reasons for having turned up – mainly that they are out to have fun, flirt and meet other youngsters at the shopping centre – standard behaviour for teenagers worldwide, as well as legitimate claims that the facts of the rolezinhos so far bear out. See this YouTube video from a rolezinho held at Shopping Metrô Itaquera on 7 December, where chattering pre-teens and teenagers are seen milling about aimlessly, at one point fleeing excitedly from a handful of police officers walking through the mall. Then check out the almost unanimous comments below it: ‘favelados’, ‘raça nojenta’, ‘bando de vagabundos sem pai e mãe’, ‘gente feia e mal vestidos’ (‘favela-dwellers’, ‘disgusting race’, ‘motherless fatherless layabouts’, ‘ugly, badly dressed people’). The latest rolezinho, which gathered 400 youngsters together at Shopping Tucuruvi last Saturday (4 January), ended with panicked shopkeepers calling the police to eject the 400 kids, and the mall closing down three hours early, with no arrests or reports of any trouble having been caused. Meanwhile back in Centro, the campaign around the creation of Parque Augusta rolls on. The Prefeitura (City Hall) announced its approval of the new park’s creation just before Christmas, but with its gates still padlocked, the parks’ champions are still working to secure the land as a public space. The current sporadic occupations of the street outside the park, in front of the locked gates, might not quite amount to a Taksim Square moment for São Paulo; and a series of ruined shopping-mall tweetups don’t necessarily amount to much more than the discrimination faced every day elsewhere by the same kids, whose faces, posture, accents, clothes don’t pass muster in their very own city. But as Taksim Square itself showed – and as seen in São Paulo in June 2013’s perfect storm, when a series of small demos over bus-fare rises spiraled to epic proportions, fuelled by a brutal crackdown on demonstrators by police, leaving a small, smouldering long tail of unrest in Rio, São Paulo and beyond – when things kick off, the trigger can come from the most unexpected of places. I purchased these Louis Vuitton outlet. I like how style they’re they ended up extremely wonderful!! I convey these Louis Vuitton outlet all the time. They may be quite perfectly made and go along with just about nearly anything! The next time I read a blog, I hope that it doesnt disappoint me as significantly as this 1. I mean, I know it was my selection to read, but I basically thought youd have something fascinating to say. All I hear is often a bunch of whining about some thing that you simply could fix should you werent too busy seeking for attention. My associate takes pleasure in the fashion survey wow gold generate. Thanks for another beneficial website. The best place otherwise may well I am getting that type of data coded in a real best method? I own a undertaking that we are just now jogging upon, and I have been on the particular glance out with regard to such information. Incredibly terrific publish. I merely located your website as well as want to point out that I have actually beloved exploring your own site posts. After all I will be opting-in inside your give and I’m wanting you are submitting once more soon! This is an outstanding entry and I couldnt agree additional with what you have been producing about. Thanks for this fantastic share. This is definitely a worthy movement. 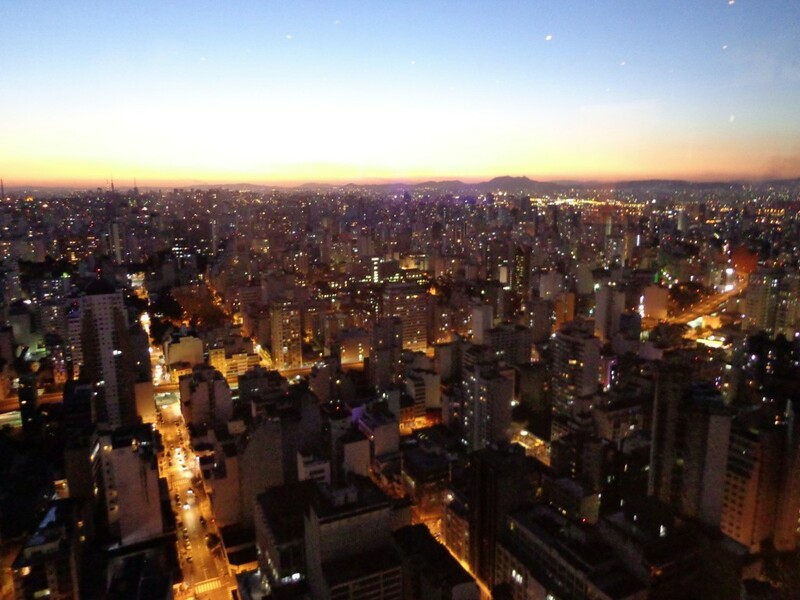 I’m hoping to see some big changes in Sao Paulo in the coming year.